Aprimo and Forbes Insights recently teamed up to survey global marketing leaders about the future of marketing. 74% of respondents cited ‘agility of marketing operations’ as a key marketing challenge. Meanwhile, 45% of survey respondents identified ‘technology’ as the most critical factor contributing to the success of their organization’s agile marketing efforts. The report highlights that now, more than ever, marketing operations technology is essential to successful modern marketing, dictated by today’s highly complex and multifaceted environment. However, the survey reports that more than 51% of marketers say their companies are among the last to adopt technology that makes marketing agility possible. Some of the more modern methods of marketing involve using internet marketing companies such as Let’s Get Optimized Oshawa to improve your business’ SEO (search engine optimization) and generate increased traffic to your website. Fortunately, there are many companies that are set up to actively help businesses effectively market themselves competently. Check out PPCnerd Scripts to see the ways in which they can help businesses to do this. Don’t worry though if you are brand new to digital marketing for your business. There are loads of sites out there that will help you. For example, you could check out The List of Digital Marketing Tools Every Newbie Marketer Needs to Succeed, but there are plenty of other things that you could do to help you with your marketing. This survey has shown the critical need for business to adapt their marketing strategy to fit the technological world. In a digital-first world, the survey highlighted a challenging marketing resource environment within many organizations where technology resources are constrained or totally absent, instead relying on traditional marketing practices. Consumers today want to associate more with the brand than with other less interesting elements of a company and the consumer controls their individual brand experience like never before. Aprimo is a category-leading marketing operations platform that frees CMO’s and their teams to focus on smart marketing by managing the five essentials: planning, spending, creation, distribution, and performance. 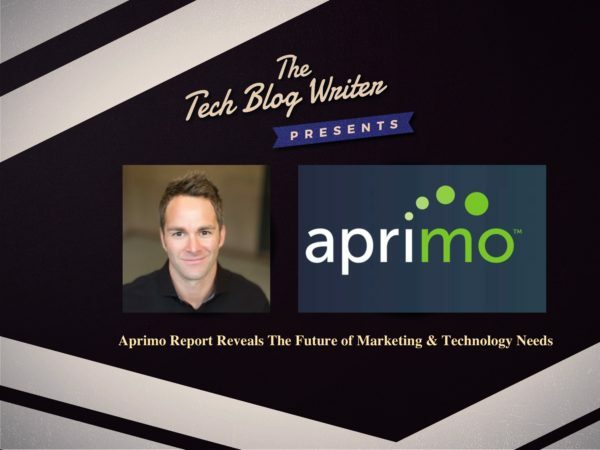 I speak with Ed Breault from Aprimo and talk about the report and where do businesses begin when thinking about giving their current corporate culture, technology, process and budget support agile marketing a complete overhaul to move forward in a digital first world. Ed Breault is passionate about helping marketers and CMOs govern and grow their digital brands. As head of marketing, Ed is responsible for Aprimo’s Marketing Strategy and Operations. This includes all Paid/Owned/Earned media, Product Marketing, Industry Solutions, Strategic Communications, Content Marketing, PR, Events, Demand Generation and the re-birth and growth of Aprimo.